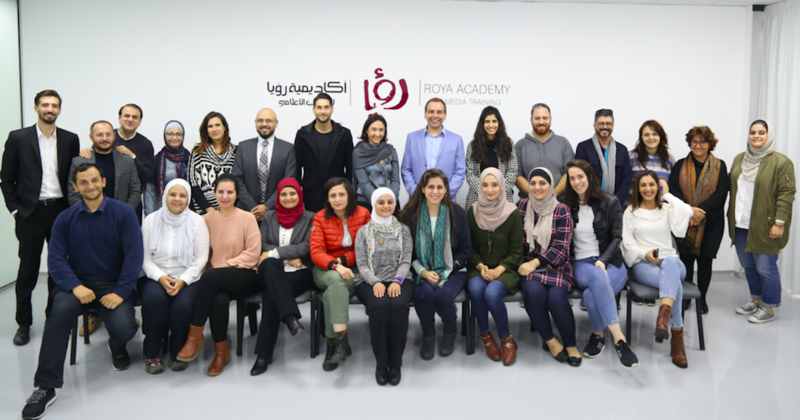 Princess Rym Ali, Founder of the Jordan Media Institute, attended the opening day of the PRIX JEUNESSE Suitcase workshop for children’s TV professionals at the Roya Academy for Media Training in Amman on Monday, December 3. 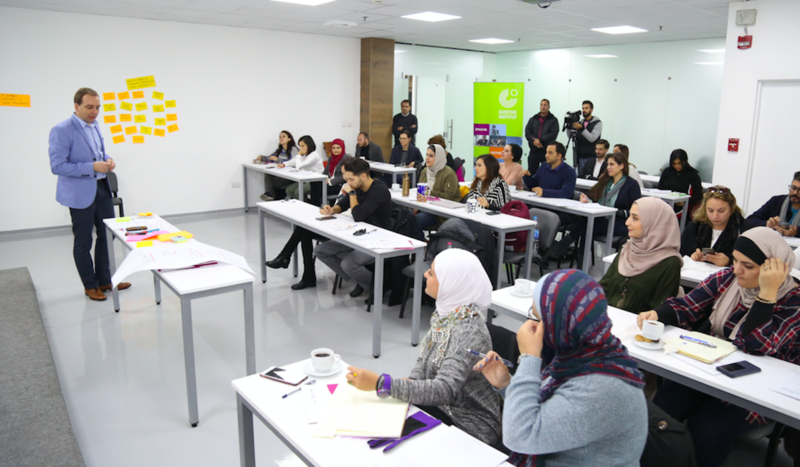 The workshop was set up in collaboration with the Goethe-Institut Jordan, and was attended by Roya TV’s General Manager Fares Sayegh and 30 participants, which included presenters, producers and scriptwriters with experience in children shows; book authors, publishers and content creators for children; storytellers and interested individuals with ideas for TV and online children programs. During the launch, Her Highness discussed what the two-day workshop will entail with the event’s moderator Markus Mörchen (ZDF, Germany). “Media training is essential because this field is a fast-changing one and there are a lot of new technologies and techniques to catch up on all the time, so once media professionals are regularly caught up on those, it will reflect positively on them and allow them to deliver the news to the public in a more accurate and professional manner,” Princess Rym said. PRIX JEUNESSE is a foundation that promotes quality in television for the young worldwide. It wants to bring forward television that enables children to see, hear and express themselves and their culture, and that enhances an awareness and appreciation of other cultures. The bi-annual festival, the PRIX JEUNESSE INTERNATIONAL is the Foundation's main activity. The PRIX JEUNESSE Suitcase is a training tool that carries the festival's creative and challenging atmosphere worldwide. The Suitcase comes packed with the best and most innovative entries from each festival. It can be combined with training programs on specific subjects (e. g., scriptwriting). The Suitcase can be presented to media professionals, educators, researchers, parents and children. You can learn more about the PRIX JEUNESSE Foundation by clicking here.